Peter Sinkamba has lashed out at the church on his Facebook, accusing them for fuelling tensions and competition between the PF and UPND but favouring opposing leaders. He has insisted that the split within the churches, with one inviting PF leaders to speak and the other UPND is causing greater divisions. He has also stated that is wrong for churches to be turning their pulpits into political forums. “You see, in Zambia there are several political leaders. However, only leaders from the two political parties are given the front row or what I may term as the VIP row to sit when they go to church. If it is not President Lungu addressing one congregation then it is Hakainde Hichilema addressing the other. Only leaders from the two political parties are given an opportunity to address the congregants or lead congregants into hymns. This is utterly wrong and need to be stopped forthwith because not only is it discriminatory but has fueled tension and competition between PF and UPND. 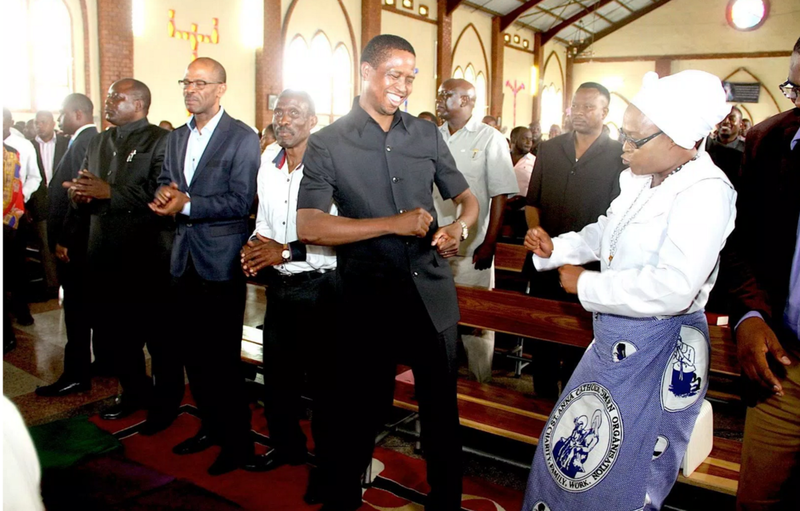 The leaders of the two parties are now in competition as to who offers more money so that he is given an opportunity to speak or sing in one church or the other and given the privilege to sit on the front row,” Mr. Sinkamba said. Sinkamba went onto call for a ban on politicking and electioneering in churches. “Whilst the Constitution provides for freedom of worship, I think it is high time that we amended it to ban politicking and electioneering in churches. It is high time that we set principles of separation of church from the State and politics. The justification for the amendment is simple. Our tax system provides for exemption of churches from paying taxes. It therefore goes without saying that all tax-exempt organizations should be prohibited from supporting or opposing political leaders and candidates. The same should be the case with cultural or traditional issues,” Mr. Sinkamba said.